This has been a busy week! As the fall semester comes to an end, there are concerts, parties, exams, projects and all the holiday events! This week for us is all about Chanukah. 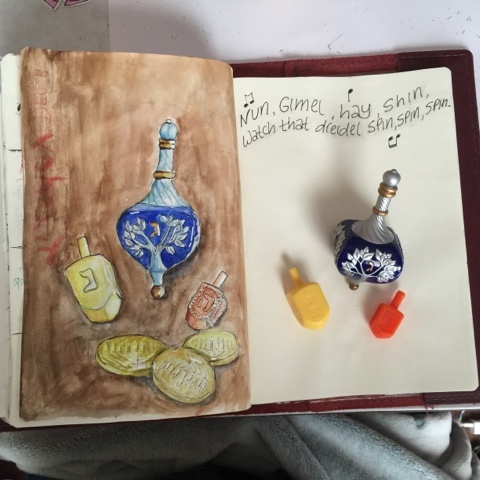 In my last post, I painted my youngest's menorah. 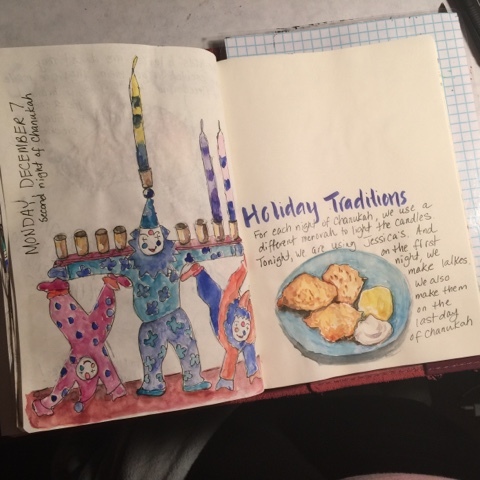 On Monday, I drew my other daughter's menorah. 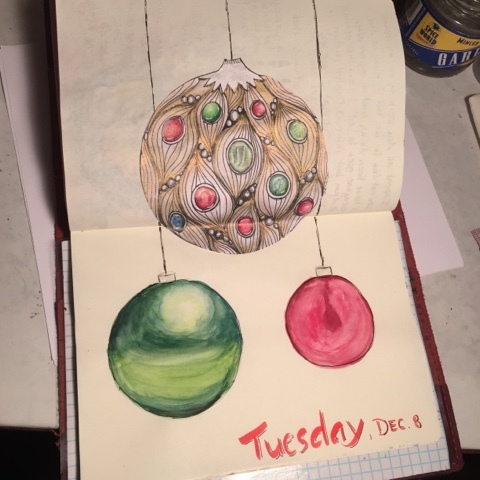 On Tuesday, the prompt was "ornament". So I drew several, the main one being a tangled ornament using the pattern African Artist. The "gems" are very popular in the zentangle community these days so I wanted to try them. Today, the prompt was "holiday toy". So of course I drew dreidels! You usually play the dreidel game with chocolate gelts (chocolate coins). You start with each person placing a coin in the pot. One person spins and depending on which Hebrew letter the dreidel lands on, you win, lose, take half, or nothing happens. The letters nun, gimel, hay, shin now represent the phrase, "A great miracle happened there," which refers to the miracle of the oil. The story goes that a small rebel group called the Maccabes drove the oppressive Seleucids out of Jerusalem (this is more than a century after Alexander the Great). They were re-dedicating the temple to G-D and lit the menorah but only had enough oils for one night. But miraculously, the oil lasted for 8 nights. 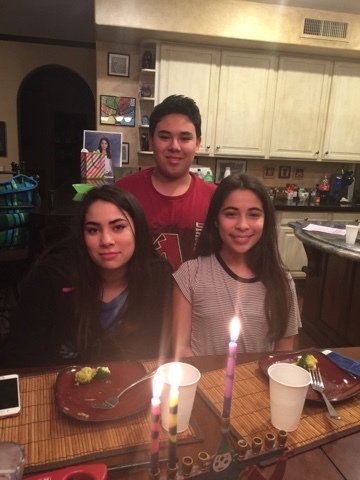 The menorah is a candlelabrum which normally has 7 candle holders. The menorah for Chanukah has 9 holders, 8 representing the miracle and one to light all the candles. I hope you enjoyed a mini-Chanukah lesson. You are instilling some wonderful family history in your children by creating and continuing holiday traditions. Does each child have a menorah in his/her bedroom? I remember the wonderful feeling of falling asleep to the warm glow of the holiday lights in my bedroom window. Thanks for sharing this with us!